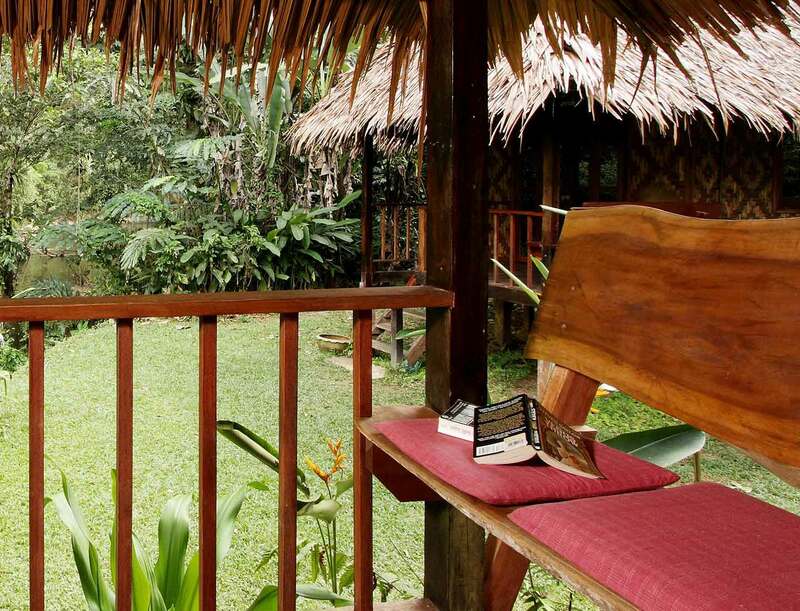 From the open deck of this cute and cozy bungalow, look through tropical bushes to the rapids, cliff, and river. 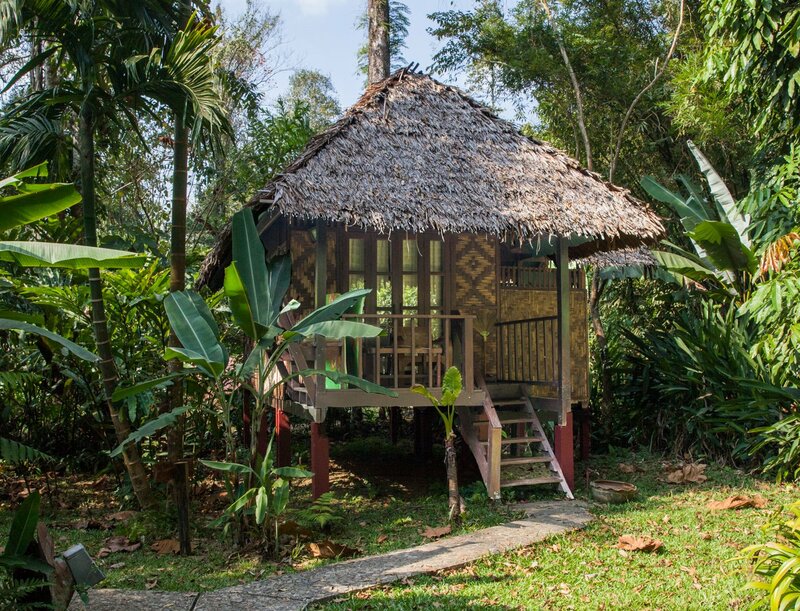 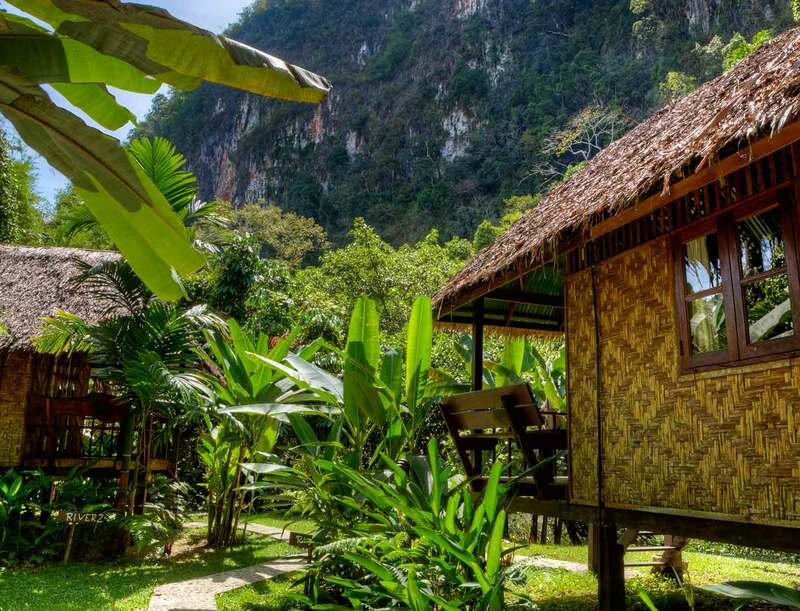 Our riverside cottages are a firm favourite with travellers to Khao Sok, tucked away by the river with its own fresh green lawn and banana trees. 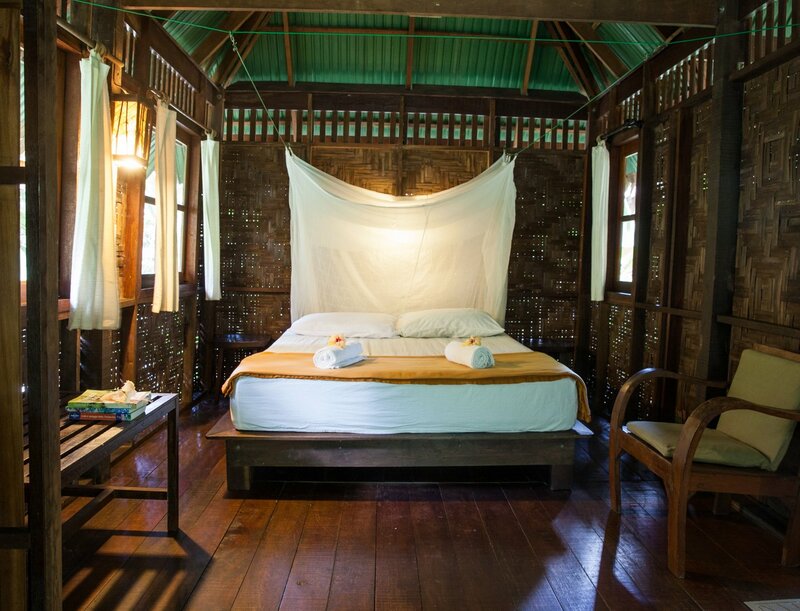 Relax at night to the soothing sounds of the flowing river. 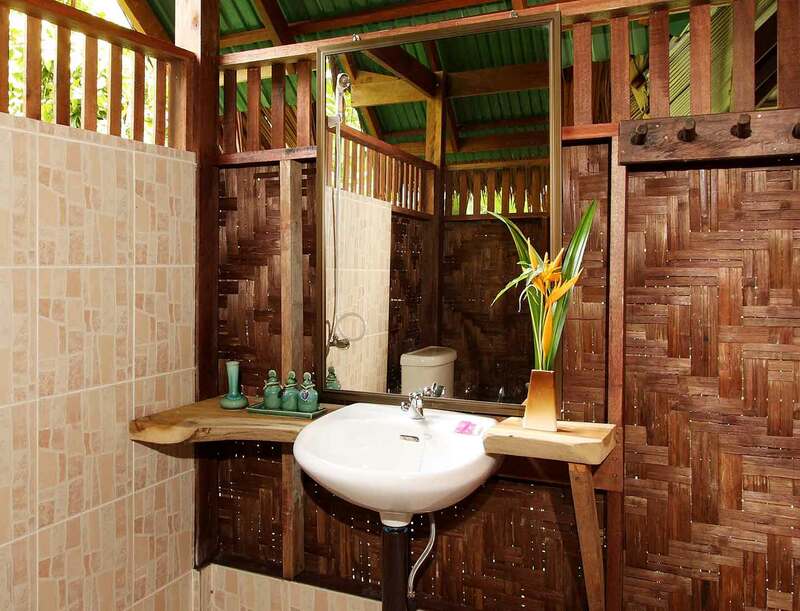 Located in the secluded rainforest section of the resort.